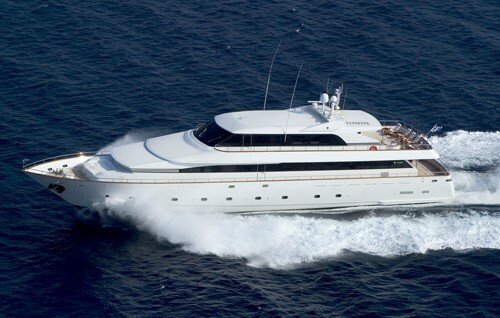 Greece luxury motor yacht ‘Let It Be’ was built in 1998 by Tecnomarine and has since been refitted in both 2001 / 2005 and 2012. 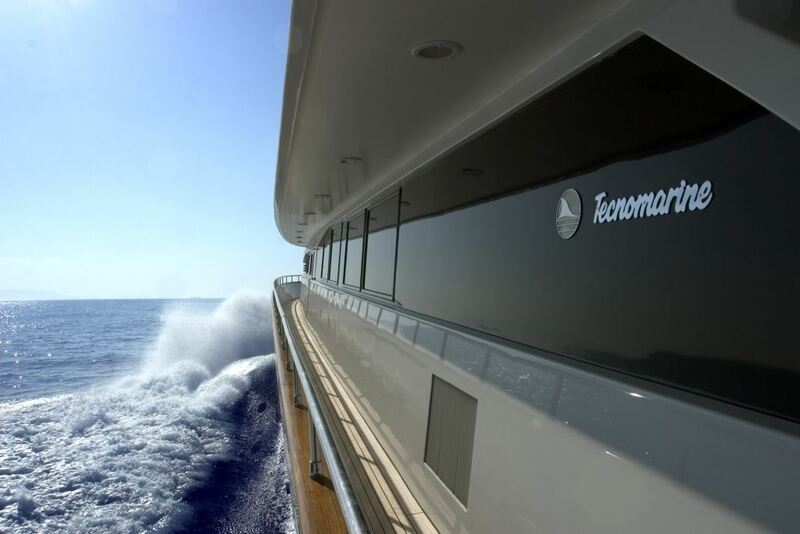 The Technomarine charter yacht has distinctive and dynamic qualities, undisputed elegance and quality without compromise. 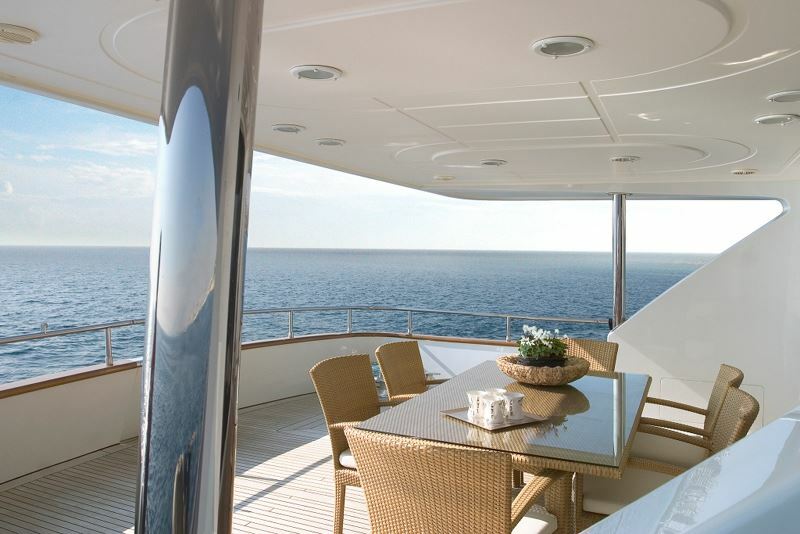 ‘Let it be’ is based in Greece year round and is also available in Turkey upon request. 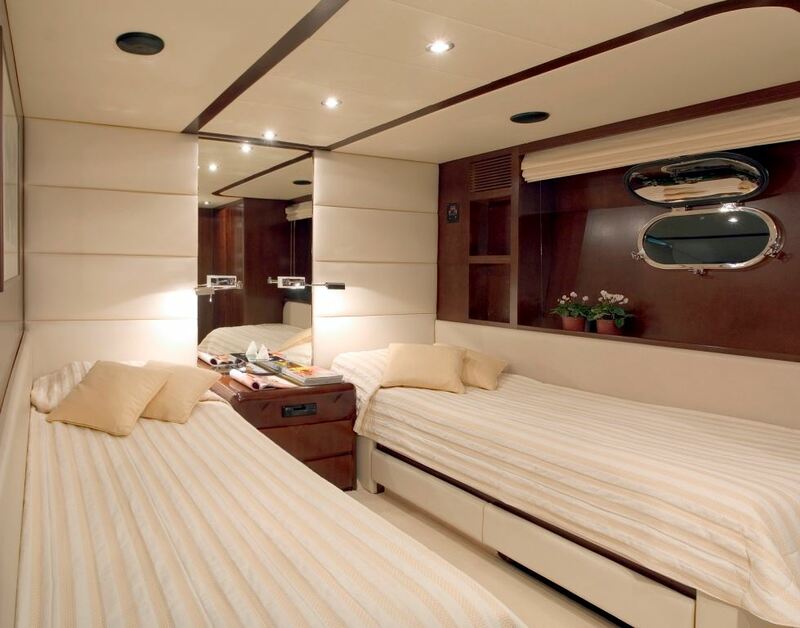 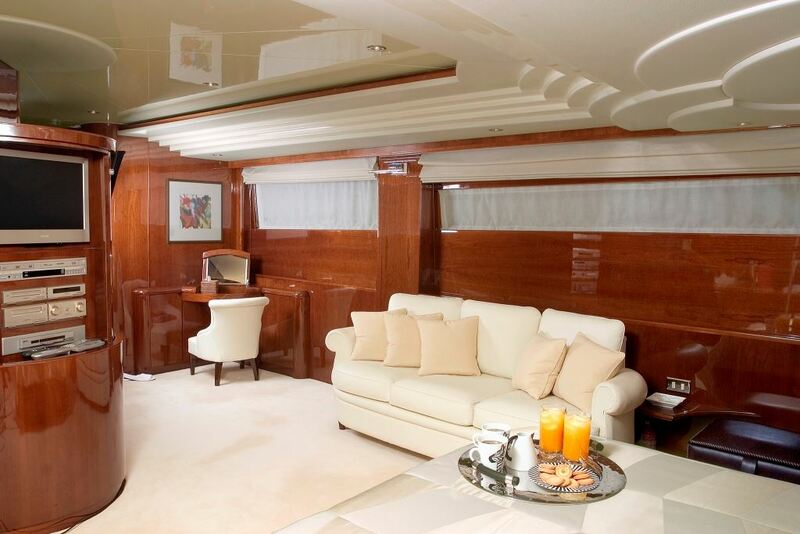 She can accommodate up to 10 guests in 3 luxurious double and 2 twin staterooms. 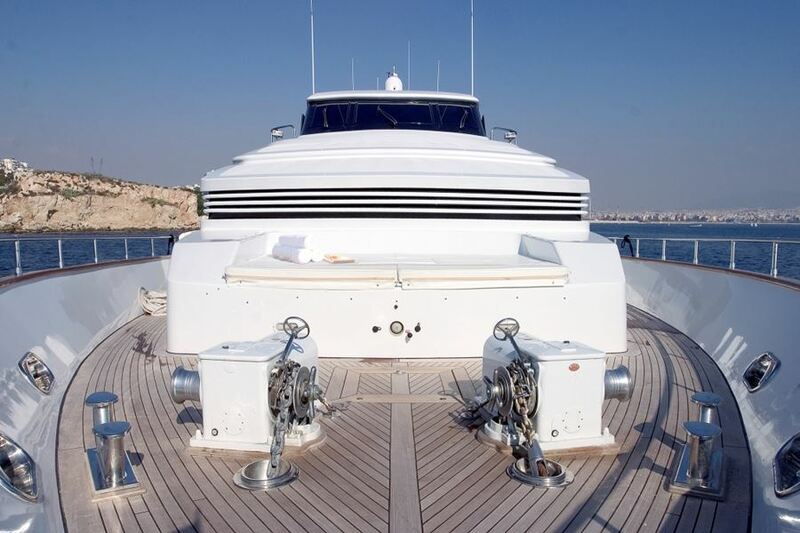 Let it be has been built to the highest safety standards and glides across the water at a cruising speed of 20knots (maximum speed is 24knots). The comfort and stability of this yacht ensures you are able to cruise at a solid speed while enjoying a smooth ride. Let it be has a modern main saloon with beautiful dark glossy wood and white soft furnishings. 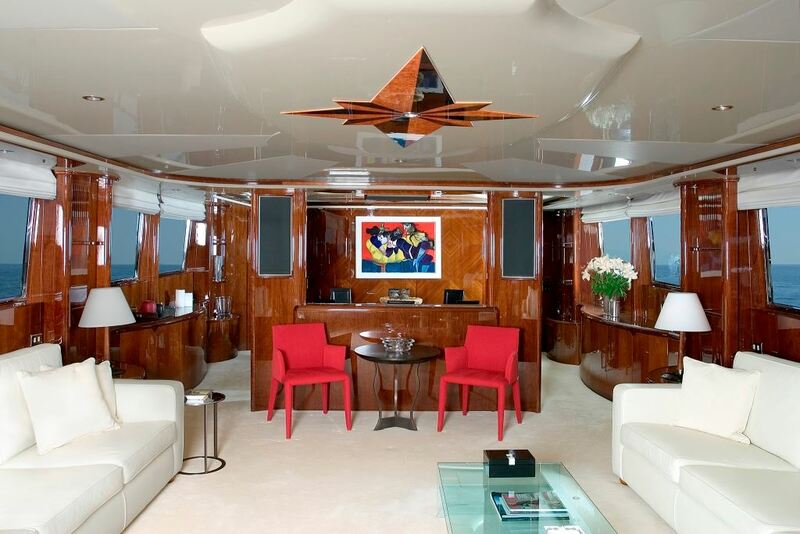 The occasional splash of red and green adds a vibrant feel to the yacht and attention to detail adds a special feel to the interior. 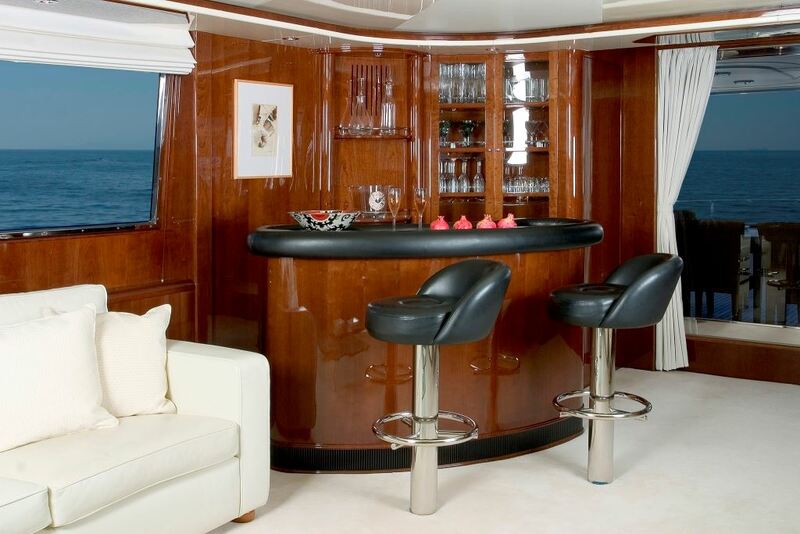 The main saloon also has a bar for evening cocktails aft and an adjoining dinning room forward. 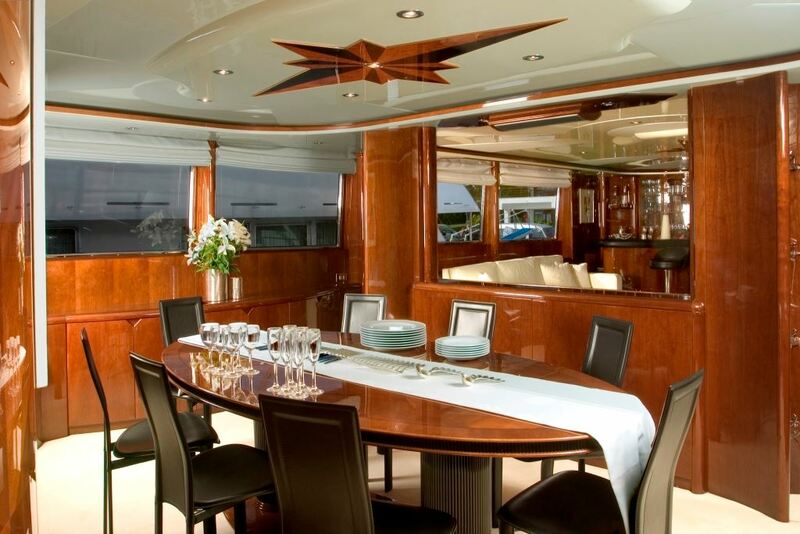 This tri level motor yacht also boasts a second saloon on the upper level that leads out to the dinning table on the very spacious upper level deck. 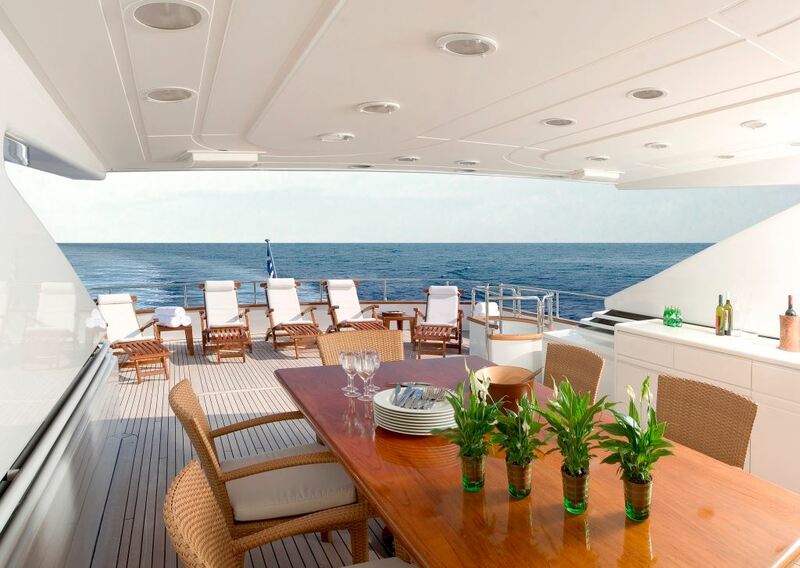 This upper deck is also perfect for relaxing in the sun loungers and taking in the amazing vistas of the beautiful Greek islands. 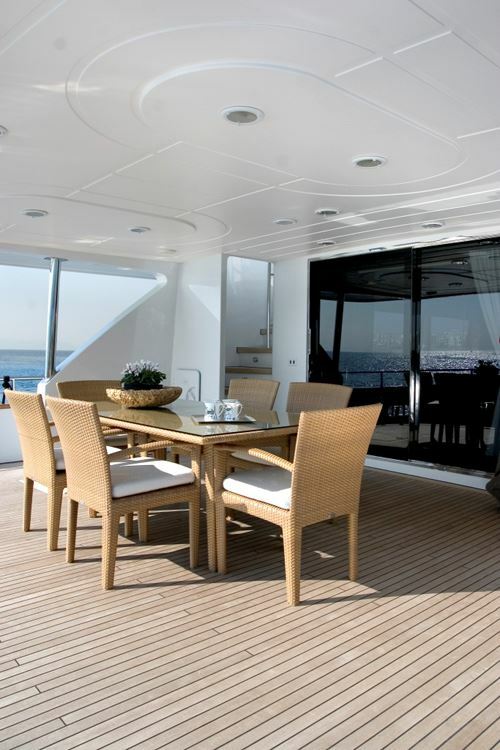 The aft deck on the main level also has an addition smaller table, great for breakfast or watching passers by while in port. 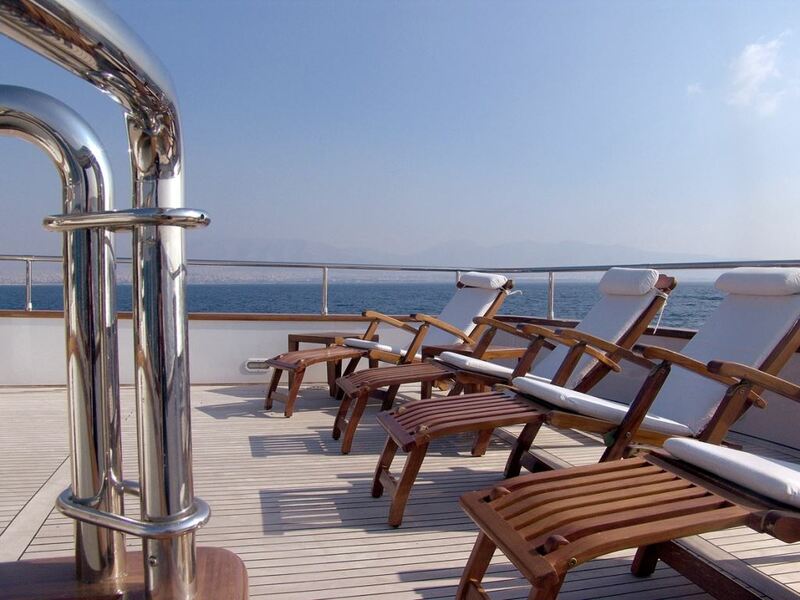 Due to the long summer in Greece, please note the high season rates apply for the following dates: 15th June to 15th September ‘ - 4.5% Greek VAT applies. 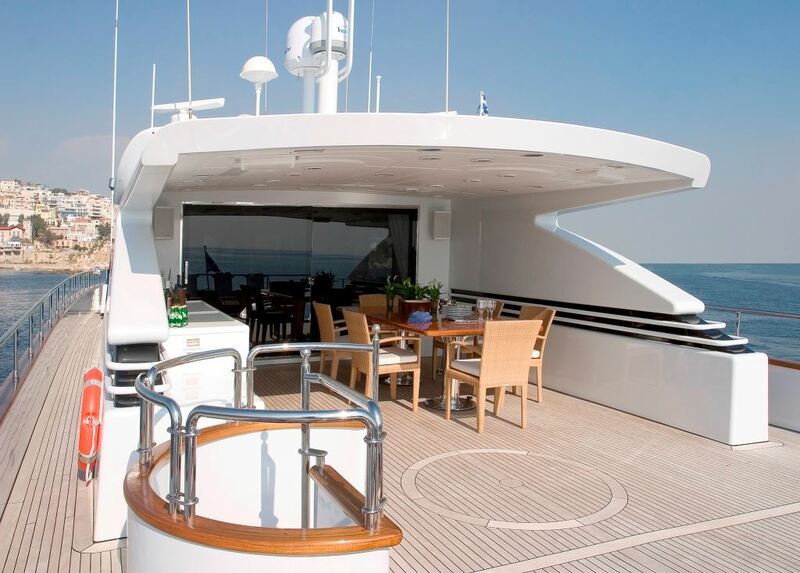 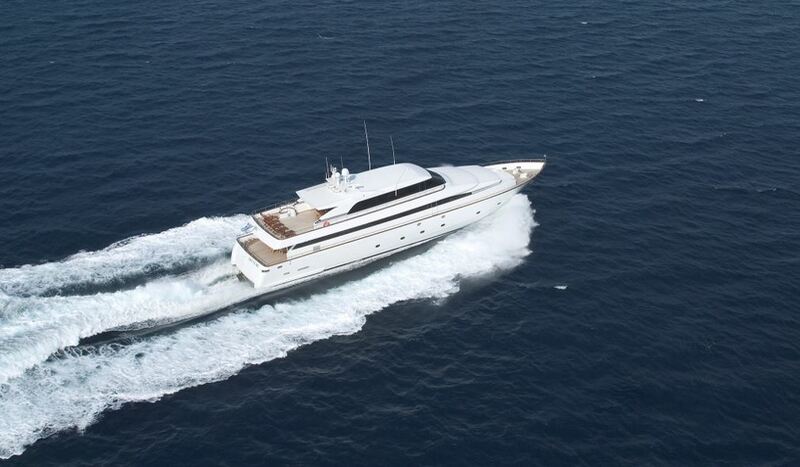 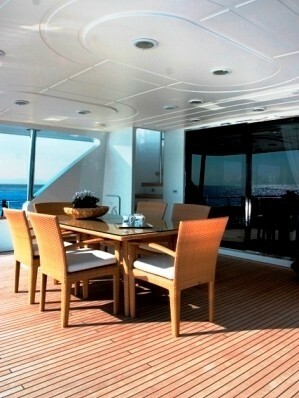 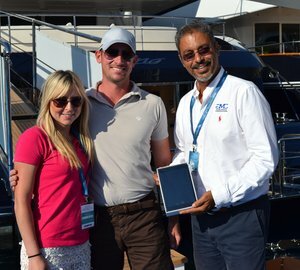 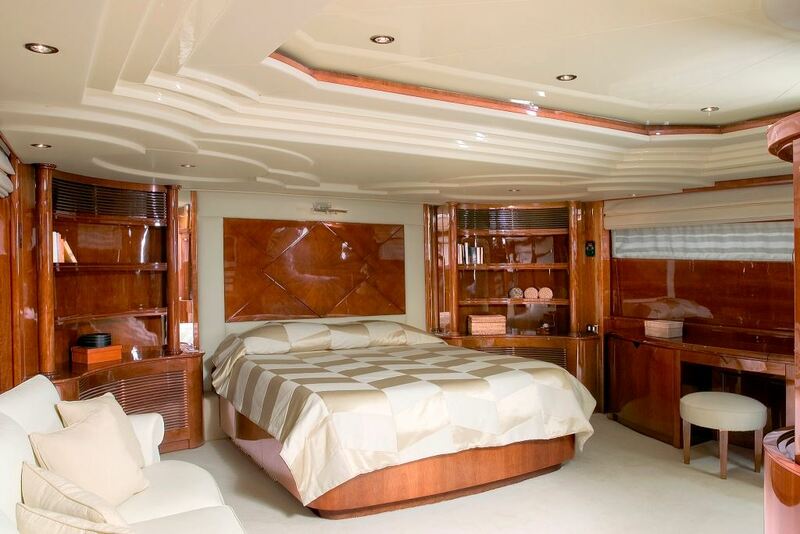 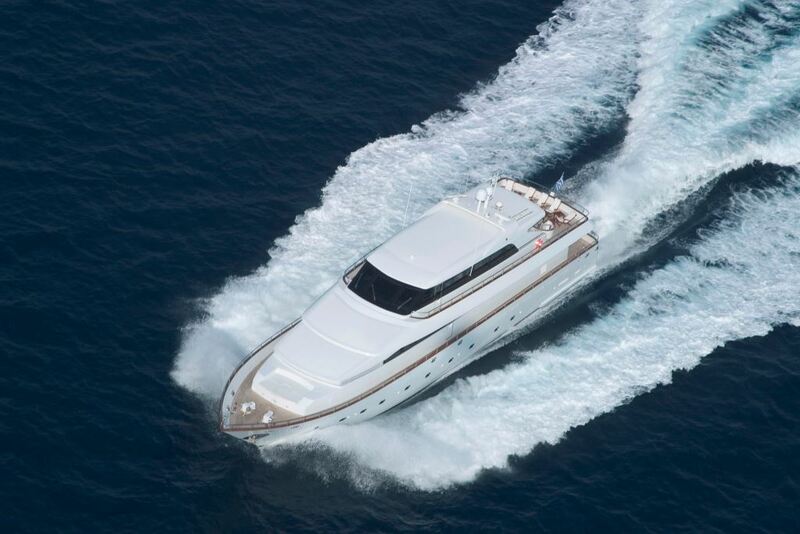 Luxury motor yacht 'Let it be' can accommodate 10 guests in 5 luxurious cabins. 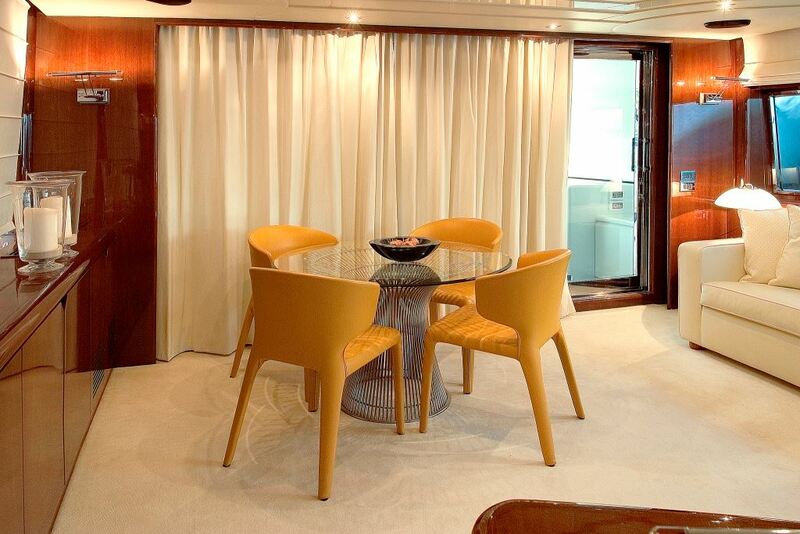 The master stateroom located on the main deck has an additional suite with owners desk. 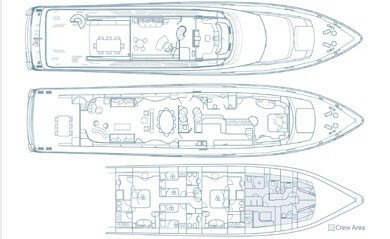 On the lower level 2 VIPs which are of a similar size and standard are located forward and aft. 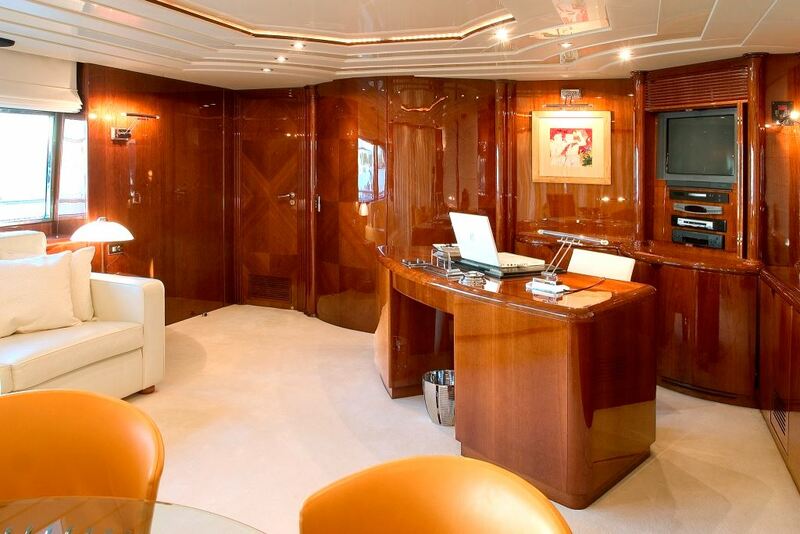 These VIP rooms offer a large ensuite bathroom, large walk in wardrobe and audio – visual system. 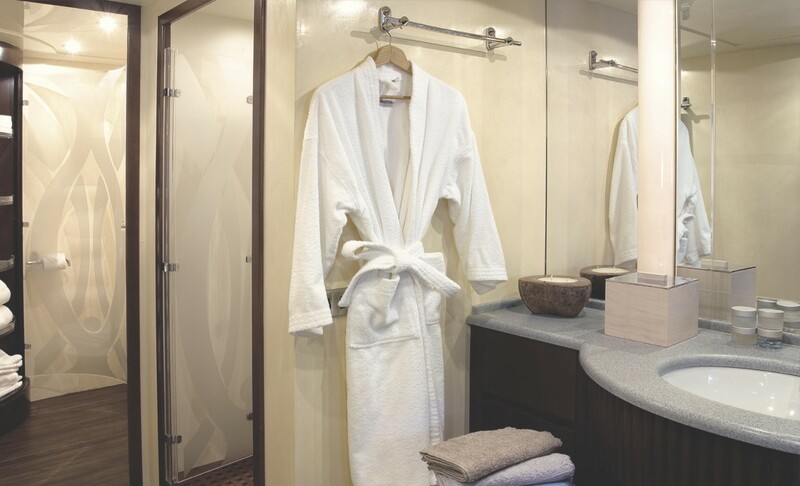 Two twin staterooms are located amid ships, both with their own ensuites facilities.